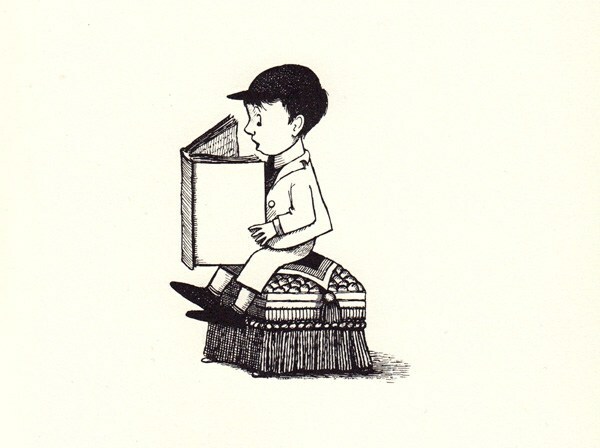 “Before writers are writers they are readers, living in books, through books, in the lives of others that are also the heads of others, in that act that is so intimate and yet so alone,” Rebecca Solnit observed in her beautiful meditation on why we read and write. “At the hour when our imagination and our ability to associate are at their height,” Hermann Hesse asserted in contemplating the three styles of reading, “we really no longer read what is printed on the paper but swim in a stream of impulses and inspirations that reach us from what we are reading.” Both reader and writer hold this transcendent communion on the page as the highest hope for their respective reward, but it is a reward each can attain only with the utmost skill and dedication. The separate but symbiotic rewards of reading and writing, and the skills required for each, are what W.H. Auden (February 21, 1907–September 29, 1973) examines in The Dyer’s Hand and Other Essays (public library). Although he remains one of the most celebrated, beloved, and influential poets of the past century, it is in this posthumously collected aphoristic prose that Auden speaks most directly to his values, his ideas about literature and art, and his creative process. The interests of a writer and the interests of his* readers are never the same and if, on occasion, they happen to coincide, this is a lucky accident. Between the ages of twenty and forty we are engaged in the process of discovering who we are, which involves learning the difference between accidental limitations which it is our study to outgrow and the necessary limitations of our nature beyond which we cannot trespass with impunity. Few of us can learn this without making mistakes, without trying to become a little more of a universal man than we are permitted to be. It is during this period that a writer can most easily be led astray by another writer or by some ideology When someone between twenty and forty says, apropos of a work of art, “I know what I like,” he is really saying “I have no taste of my own but accept the taste of my cultural milieu,” because between twenty and forty, the surest sign that a man has genuine taste of his own is that he is uncertain of it. After forty, if we have not lost our authentic selves altogether, pleasure can again become what it was when we were children, the proper guide to what we should read. A writer … is always being asked by people who should know better: “Whom do you write for?” The question is, of course, a silly one, but I can give it a silly answer. Occasionally I come across a book which I feel has been written especially for me and for me only. Like a jealous lover, I don’t want anybody else to hear of it. To have a million such readers, unaware of each other’s existence, to be read with passion and never talked about, is the daydream, surely, of every author. Every writer would rather be rich than poor, but no genuine writer cares about popularity as such. He needs approval of his work by others in order to be reassured that the vision of life he believes he has had is a true vision and not a self-delusion, but he can only be reassured by those whose judgment he respects. It would only be necessary for a writer to secure universal popularity if imagination and intelligence were equally distributed among all men. All works of art are commissioned in the sense that no artist can create one by a simple act of will but must wait until what he believes to be a good idea for a work “comes” to him. The degree of excitement which a writer feels during the process of composition is as much an indication of the value of the final result as the excitement felt by a worshiper is an indication of the value of his devotions, that is to say, very little indication. To keep his errors down to a minimum, the internal Censor to whom a poet submits his work in progress should be a Censorate. It should include, for instance, a sensitive only child, a practical housewife, a logician, a monk, an irreverent buffoon and even, perhaps, hated by all the others and returning their dislike, a brutal, foul-mouthed drill sergeant who considers all poetry rubbish. Sincerity is like sleep. Normally, one should assume that, of course, one will be sincere, and not give the question a second thought. Most writers, however, suffer occasionally from bouts of insincerity as men do from bouts of insomnia. The remedy in both cases is often quite simple: in the case of the latter, to change one’s diet, in the case of the former, to change one’s company. Complement the altogether indispensable The Dyer’s Hand and Other Essays with Auden on the most important principle in making art and what medicine and art have in common, then revisit more abiding advice on writing from Fyodor Dostoyevsky, Susan Sontag, James Baldwin, John Steinbeck, Ernest Hemingway, Willa Cather, and other beloved authors. * To contend with the era’s inescapably gendered language, I point you once again to Ursula K. Le Guin’s timelessly brilliant commentary on the problem.